We are about halfway through 2015 now! Earlier, I had interpreted that this year would be the year of the Strength tarot card, as 2+0+1+5=8. But now, after observing what’s been going on this year, I take it back- now I’d say that this year is the year of the Justice card. You see, in more modern tarot decks, the Major Arcana card number 8 is the Strength card- but in older decks, 8 is Justice. It was later with some popular decks like the Rider-Waite that the order of the two cards were switched. So what is the significance of the Justice card? What lessons and challenges does it present to us this year? And why do I believe that this is our card for 2015? Firstly, I don’t know about you, but my Facebook newsfeed is blowing up with pictures of people getting married! 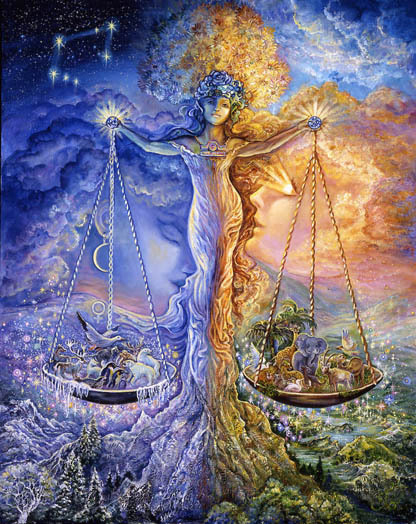 Justice is ruled by Libra- the sign of relationships and partnerships (especially legal partnerships). Even I got married this year. The influence of this card compels us all to focus on our relationships. Also, in astrology, our solar return charts collectively have the North Node (which represents our mission; our destination for the year) in Libra. Also, the deeper lesson of Libra is commitment. Along with marriage, some of you may be experiencing the topic of commitment in some way. It may be good to ask yourself: Are you committed? What are you committing to in your life? Is this commitment appropriate for you? Are you hesitant to commit? If so, why? Which brings us to another topic linked with the Justice card/Libra-decisions. I’d define commitment as a firm decision. Librans are notorious for being indecisive, but that is their lesson/theme. Their symbol is the balance scales, weighing out their options. Some of you may come to crossroads, and face decisions this year. Some of you, in Libran fashion, may face the issue of indecisiveness. It is important for us all to understand and apply the universal law of cause and effect. I personally view this as the true meaning of karma. Every decision that we make, every action, produces a result. Other themes linked to the Justice Card/Libra is well, justice. Also, truth. 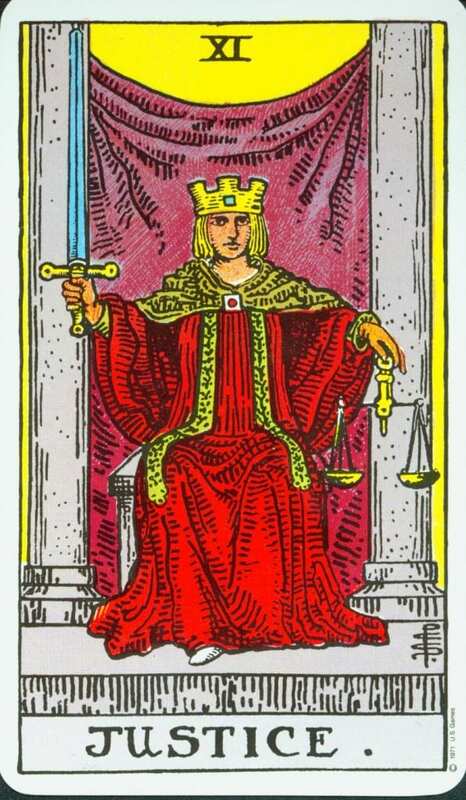 In tarot, the Justice card shows a woman. She is the Egyptian goddess Maat, a keeper of order. She carries balance scales in one hand to indiscriminately weigh and discern, and a sword that cuts to the truth. Some of you may be dealing with legal matters. On a more collective scale, this year we saw the legalisation of gay marriage in the US – now that’s definitely a Libran theme, I’d say! Are You Finding Your Balance? Finally, a subject for us all this year is also balance. It is so easy for us to get out of balance in different aspects of our lives. It can be helpful to check-in now and then, by observing the dualities of our lives. For example, are you doing more than resting? Are you more ‘masculine’ in your energy than ‘feminine’? Or vice versa? Are you spending too much? Or too little? Is your health in balance? I have been struggling this year with health issues, particularly with maintaining balanced energy. I have burnt my body out, and it was crying for me to stop and take a rest. Some oracle cards were telling me I needed “balance” (two in a row, from two different decks! ), but I didn’t know what exactly they meant. It wasn’t until my body broke down into illness when I understood the message. Life may call for you to get into better alignment this year, as this is the power of the Justice card/Libra. So how you will you spend the rest of your 2015? The year is just picking up and there’s still plenty of lessons to be learned before the calendar year is over!